Artist Bob Neace discovered an unusual way to apply his acrylic paints — with a credit card. 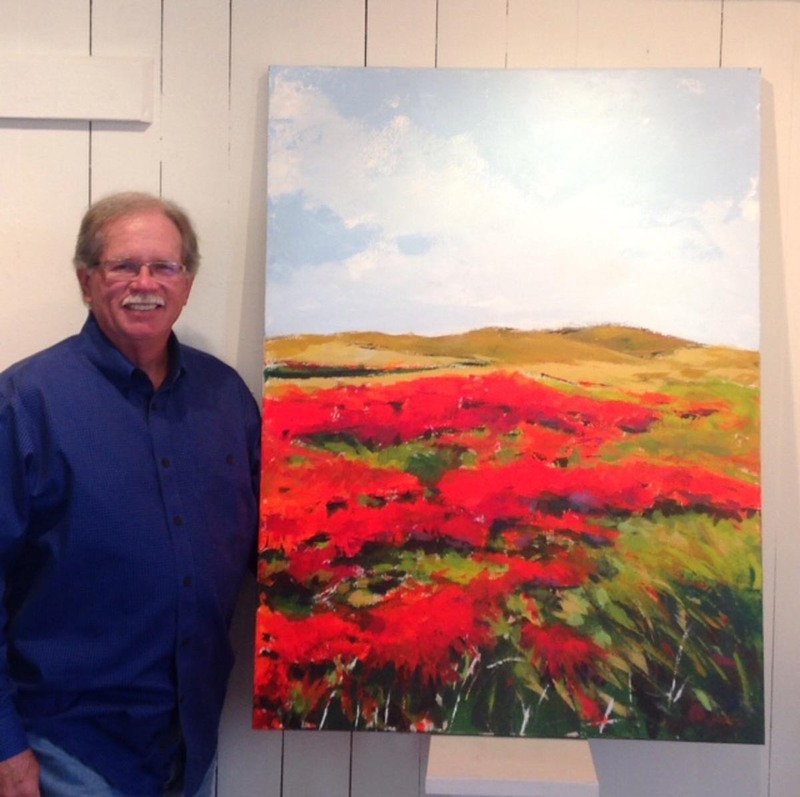 His “Landscrapes” exhibit opens Thursday, Sept. 17, 6 to 8 p.m, in the mezzanine gallery. at Carriage Factory Art Gallery, 128 E. Sixth St., Newton. Neace will be present to answer questions. As part of the gallery’s Third Thursday activities, the NUTS (Newton Ukulele Tunes Society) will perform and refreshments will be served. It’s all free and open to the public. When art galleries began telling Bob Neace that they already had artists who painted like he did, he began searching for a different way to apply his acrylics. The thought occurred to him to start scraping and layering his paints with a credit card. The creative result is a series of paintings that he calls “Landscrapes,” opening Thursday, Sept. 17, 6 to 8 p.m., in the mezzanine gallery of Carriage Factory Art Gallery, 128 E. Sixth St., Newton. The opening is part of the gallery’s Third Thursday activities, also featuring music by the NUTS (Newton Ukulele Tunes Society) and refreshments. The event is free and open to the public. Neace has been a graphic designer and owner of Bob Neace Graphic Design, Wichita, for 36 years. He studied at Wichita State University and began painting with acrylics in 2012. Neace calls himself an All-American artist whose passions include baseball, American history and the great outdoors. Neace’s Landscrapes” exhibit will be on display and for sale in the mezzanine gallery through November 12. Regular gallery hours are Tuesday through Friday, 12 to 5 p.m., and Saturday, 10 a.m. to 5 p.m. The gallery is open every Third Thursday from 6 to 8 p.m. Admission is free, with donations welcome. For more information, call 316-284-2749.